A little bit of Trelowarren – now in Falmouth. 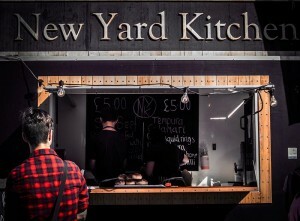 Open now on Pendennis Point, the New Yard Kitchen is serving delicious food on a Thursday, Friday, Saturday and Sunday evenings from 7pm to 10pm. We are taking the things we love about the Trelowarren’s New Yard Restaurant and bringing them to the streets of Falmouth. Fresh, locally sourced produce all prepared by hand and cooked with precision. Our menu showcases well known fast food dishes that have been optimised to be the best they can be – whilst remaining affordable and quick! 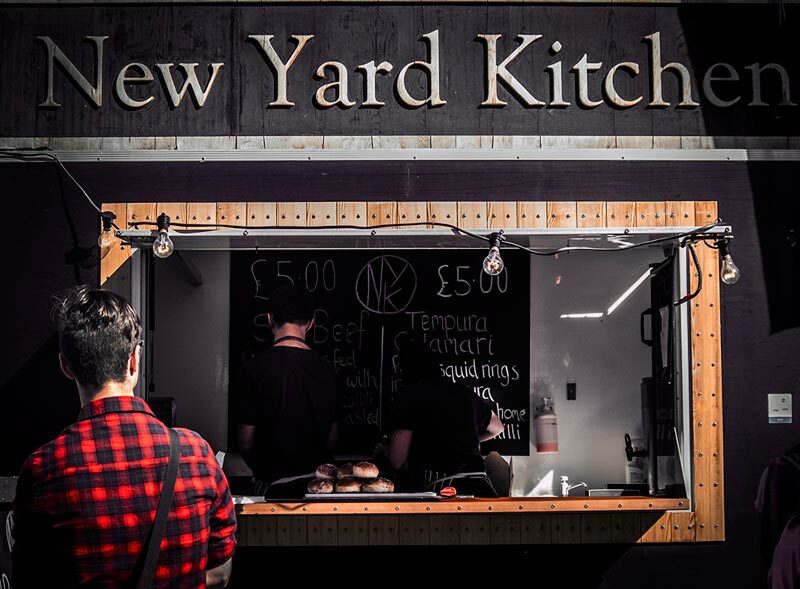 The New Yard Kitchen serves relaxed, high quality fast food that you can eat whilst enjoying the panoramic views our pitch has to offer, or take your food home with you and enjoy quality street food at home!